At least two people have been killed and several injured in a crush at South Africa's biggest stadium, the state broadcaster SABC said. It took place during the Soweto derby between football clubs Kaizer Chiefs and Orlando Pirates. 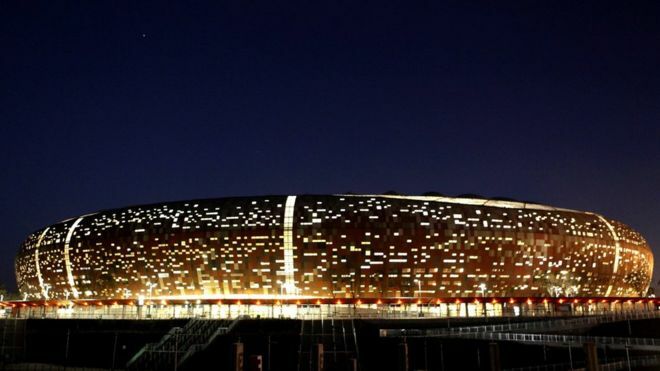 The circumstances of the crush, at the 87,000-capacity FNB stadium in Johannesburg, are not yet clear. The game was allowed to continue. The deaths were confirmed by public safety official Michael Sun on Twitter. He said that all gates at the stadium were opened to ensure crowd control and that the situation was under control. Reuters said live television coverage of the match, which Kaizer Chiefs won 1-0, showed no obvious disturbance. 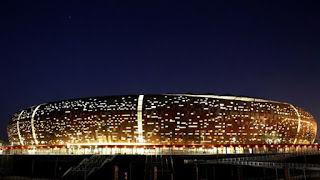 The stadium served as the venue for Nelson Mandela's first speech after his release from prison in 1990, and is where the memorial for Mr Mandela was held in 2013.